Former Digital Humanities Interns Talk About Their Experiences. The Digital Humanities Internship has been a big step forward in the life of former students that have worked in it. 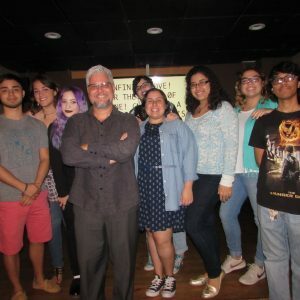 Taught as a recommended elective by Dr. Leonardo Flores every semester since Fall 2013, it helps its students learn new skills that have helped them grow as students and prepare them for their future professions. Here are some statements of different students that went through the Digital Humanities Internship. 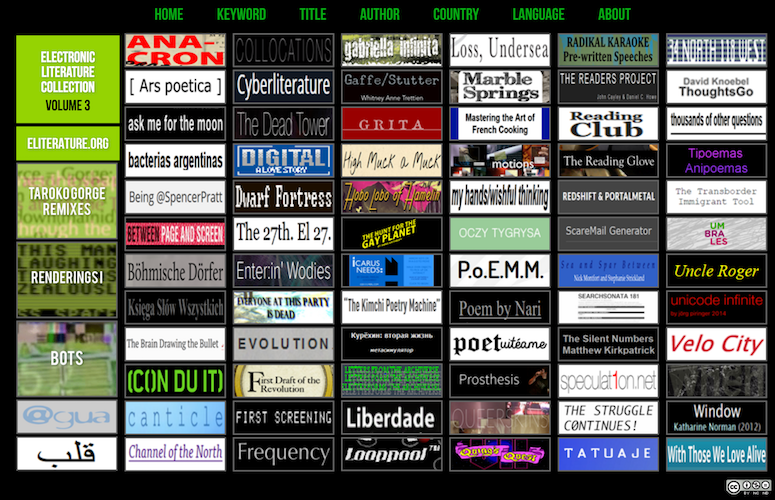 The Electronic Literature Collection, Volume 3. 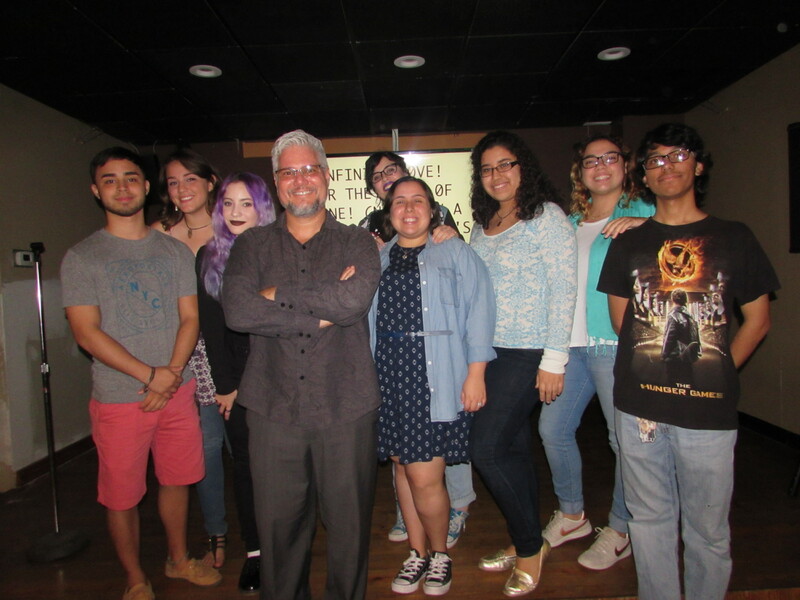 Dr. Flores and the Spring 2013 team at the I ♥︎ E-Poetry Café event. As a Comparative Literature undergraduate student this internship helped me develop my writing skills. I also learned a lot of Digital Literature and experienced a strong appreciation of I <3 E-Poetry and the hard work every fellow intern put in it. I will forever be grateful of this Internship, where I didn’t just learn more writing skills but I also learned HTML and CSS. The students I worked with are amazing people and I can call them my friends. 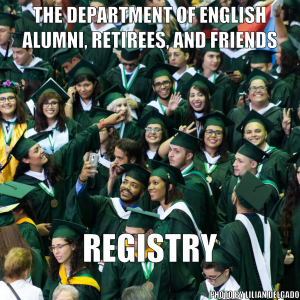 I will never forget the experience of working hand in hand with my friends while keeping the English Department Website (and the job of former DH interns) alive. This was my 1st internship and I will cherish every moment in it. So Prof. Leonardo Flores, on behalf of the former DH interns, thank you for the opportunity.